10 years since it was first introduced, the World Health Organization’s Surgical Safety Checklist has proven its worth. Admittedly, the Checklist was shown to be effective from early on--a study published in the May 2010 Annals of Surgery reported that since the introduction of the checklist in the OR, surgical complications dropped from 18.4% to 11.7% and death rates from 3.7% to 1.4%. If checklists are known to help improve surgical outcomes, why aren’t they being used? Implementing a checklist into the surgical workflow seems ostensibly easy. But simply handing the checklist over to surgeons and nurses and expecting it be seamlessly put into action is unrealistic. When hospitals do this, it often results in simple box-ticking, without actually evaluating the steps. Demonstrating the value and usefulness of such checklists and giving consideration about how to integrate them more naturally into the surgical workflow is necessary. So how can hospitals implement surgical safety checklists effectively? Well, there’s actually quite a lot that can be done. Encouraging and fostering surgical soft skills, such as teamwork and communication, is a good place to start. Engaging with team members actively throughout the various parts of the surgery helps to prevent teams from simply going through the motions. Customizing surgical checklists based on staff feedback and hospital needs also helps to increase their compliance and effectiveness. A five-year joint project between the South Carolina Hospital Association, Ariadne Labs, and Harvard T.H. Chan School of Public Health on the implementation of the WHO Surgical Safety Checklist found that hospitals that voluntarily implemented the checklist had a 22% lower rate of post-surgical death compared with those hospitals who did not use the checklist. All hospitals in South Carolina were invited to take part in the study, of which 14 enrolled (representing nearly 40% of the state’s total in-patient surgeries). 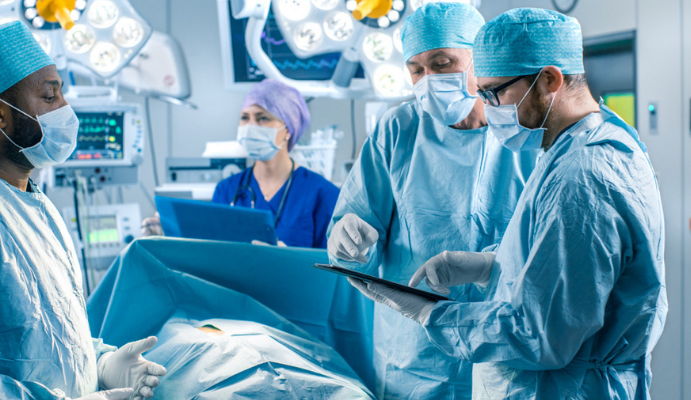 Thornton Kirby, President and CEO of the South Carolina Hospital Association, lauded the study and highlighted that surgical checklists work to shift the culture in the operating room, fostering better communication and improving patient care. While effectively implementing the checklists requires thought and consideration, the impact is undeniable. Simply put: surgical checklists save lives.